It has been my experience that yeast is temperamental. Living at 6500 feet above sea level, I have found that yeast acts more quickly, making the amount I use somewhat of a guessing game depending upon the recipe. Generally, the amount is slightly less than what is called for. My forgetfulness, as well as my eagerness, occasionally creates a mess—my bread rises too quickly and falls flat just as rapidly. With the advent of bread machines this verse doesn’t quite have the “punch” that it had in the first century. But the properties of yeast remain the same whether prepared by hand or machine—yeast must be “hidden” or worked thoroughly throughout the dough in order for it to be effective. 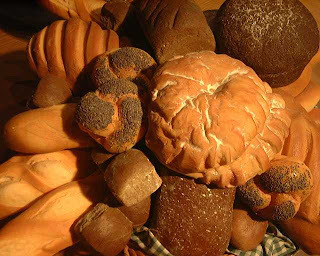 Having been called to be kingdom of heaven yeast, hidden throughout our communities, our rising ability will depend on how willing we are to allow God to work us into the “dough.” If you’ve ever kneaded bread, well, the process is uncomfortable, but the results can be spectacular!